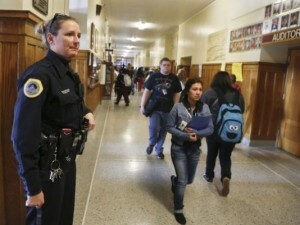 What Should The Role Of Police Be In Maryland Schools? 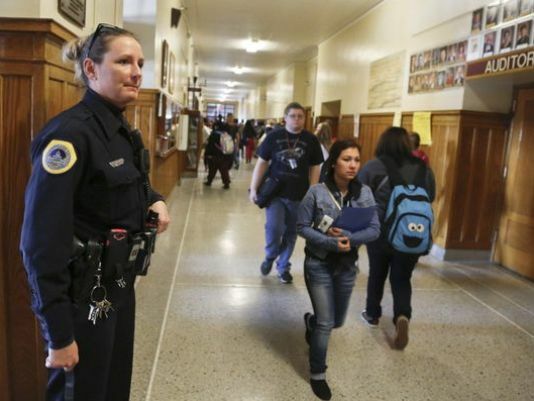 We examine the role of police in schools, in light of the video that went viral last week of an officer interacting violently with Baltimore middle school students. We will also examine Delegate John Cluster’s (R-8th District) proposed bill to put armed school resource officers in all Maryland schools. With: Mo Canady, Executive Director of NASRO, National Association of School Resource Officers; Sara Love, Public Policy Director of the ACLU of Maryland; Kate Rabb, Education Policy Director for Advocates for Children and Youth, who wrote an op-ed in the Baltimore Sun in response to the incident; Jenny Egan, Juvenile Public Defender in Baltimore City focusing on school-based arrests, who also wrote an op-ed in the Baltimore Sun in response to the incident; and Andrew Turner, Supervisor for Safe Schools for Wicomico County Public Schools.